Clever marketers have convinced us that chocolate consumption is just as effective as therapy. Science doesn’t support their claims, but there are studies that show some health benefits to chocolate consumption. Chocolate may improve brain function. It may lessen your risk of heart failure and heart attack. The flavanols in chocolate can lower blood pressure. It may even reduce your risk of stroke. Keep in mind that the positive benefits come from dark chocolate, and not from the processed stuff that is marketed as chocolate. The good news for us who care about animal welfare is that it’s fairly easy to buy vegan dark chocolate. If you live in the US, you’ll want to stick with organics to ensure the sugar isn’t processed with animal bone char (that’s not a problem in other parts of the world). Check the ingredients to ensure there’s no stray milk products included, and you’re good to go! For those of you that love milk chocolate, don’t despair. This is Sweet Chocolate Dream, made by the same folks that bring you Soy Dream, Rice Dream, and Almond Dream frozen desserts. This bar has a higher melting point than milk chocolate, so it’s going to remain hard in your mouth. 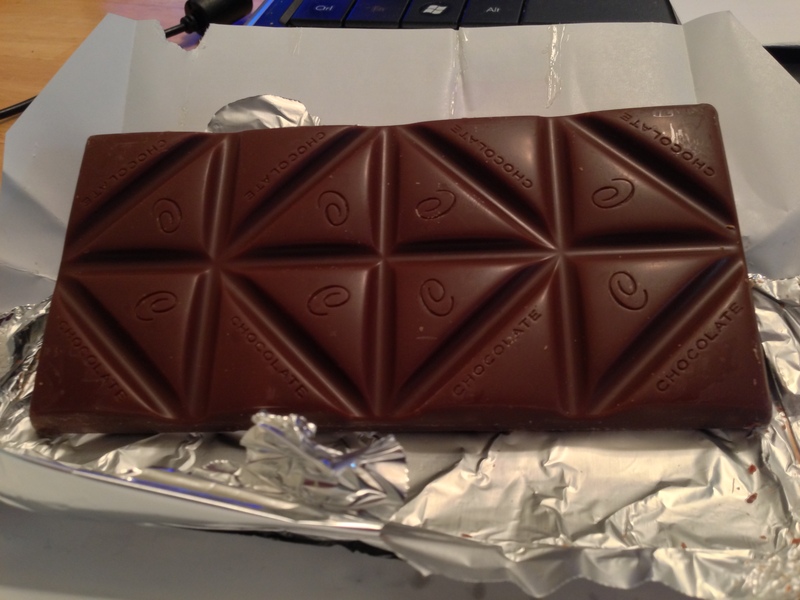 But I left a bar in the car and it got soft, and that chocolate was creamy, just like a bar of milk chocolate. I haven’t replicated that in an oven or microwave, so I am not sure how that would work. But what about special chocolate treats, like for the holidays? If you want to give the gift of chocolate, let me tell you about Rose City Chocolates. 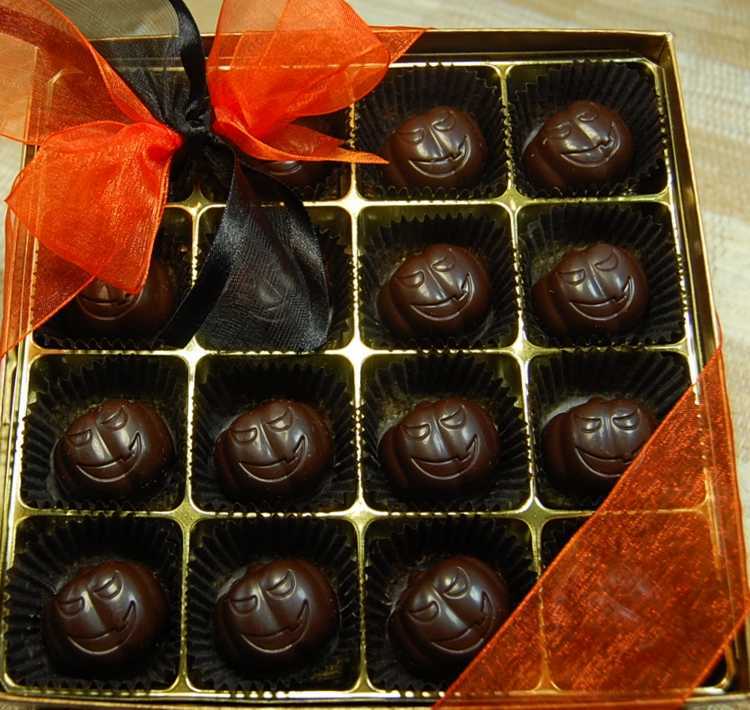 Rose City offers a wide selection of vegan chocolates, including these cuties for fall. They’ll soon have their Christmas and winter holiday items available, including Santas and snowmen figures. My personal favorite is the vegan cherries. Yum! So you see, you can still indulge, but in a healthier way, and support animal welfare in the process! Is there a cruelty-free chocolate that you enjoy? Tell us about it in the comments section! « DeDe: It’s Your Uniqueness That Makes You Beautiful! I’ve heard that chocolate is poisonous to dogs. Is that true? It is. And the higher the cocoa content, the more dangerous it can be. I have heard the same thing from many different sources, including vets. A little bit is not a problem (depending on the size of the dog, obviously) … but a lot can make them very sick. Or so they say. Tell that, however, to our big Australian Shepherd who ate an entire Whitman’s Sampler one day and didn’t even belch. Of course, he also scarfed down an entire roast chicken, bones and all (no problems, it was years ago … he’s fine and the kids now lock food up where he can’t get it) and finally, half a pound of really excellent coffee beans — loves coffee … maybe it was to go with the chocolate? Made him really lively until he gave him diarhhea. So I guess exactly HOW poisonous depends on the dog. True! Rumpy ate half a bag of chocolates- wrapper included- and never burped either. And if I can enjoy without causing harm to animals, I’m game! Eating the wrappers offset any danger in the chocolate. I can barely restrain myself from running to the kitchen to make myself a cup of hot chocolate. 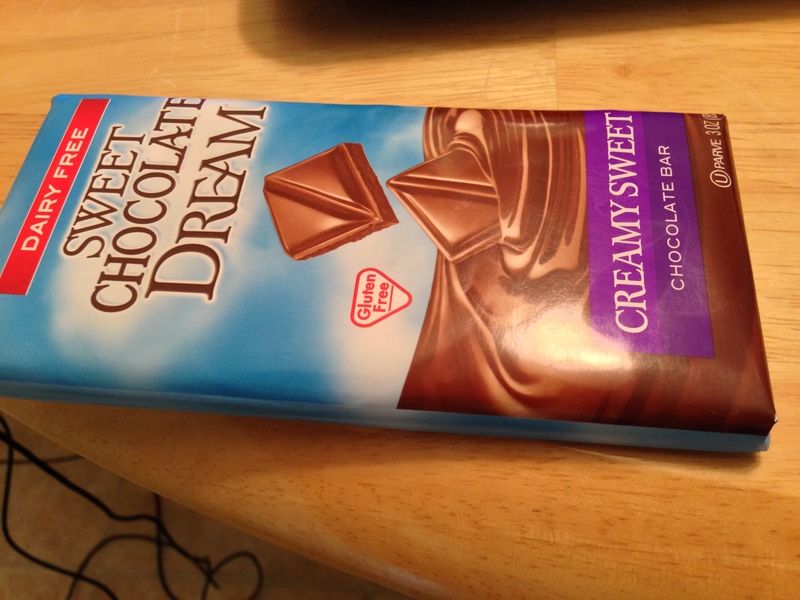 (I don’t keep chocolate candy in the house…to tempting to derail my dieting efforts :P). We always buy cruelty-free chocolate too. 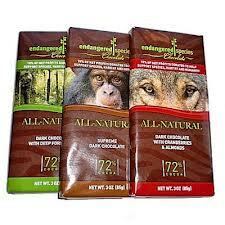 Endangered Species dark chocolate mint is my absolute FAVORITE! 😀 I never heard of Rose City, but I’m going to check them out now for sure! Those smiling pumpkin faces are impossible to resist. Yum! I like the idea of chocolate made with a dairy alternative – almond milk chocolate would be delicious, I imagine! I’m going to have to keep an eye out for brands available in the Great White North. Are there any that are sugar free as well? Rose City has sugar-free choices. I’m on board, then…and off to get some chocolate for myself! Mama’s gonna go get some chocolate now! Woooowoooooooo! We love chocolates!!!!!! *whispers*Mom never let me try them though…..
My mouth is watering…and it’s only 11 a.m. Is that too early to eat chocolate? I’ll have to check out your yummy suggestions. I’ve got the worst sweet tooth… I’m definitely checking out this place! Oh man oh man oh man oh man. I feel like a dog waiting for the ball to be thrown right now. Oh dear, cleansing day 13 mumma really shouldn’t have read this one!! Day 13? How dirty is she?